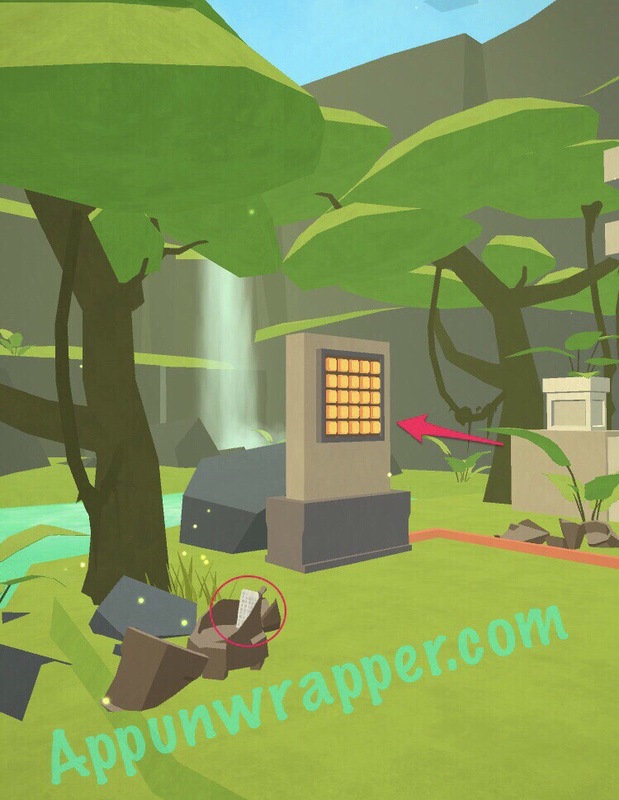 This is a complete step-by-step walkthrough guide with help, hints, tips, tricks, answers and solutions for the iOS and Android puzzle adventure game, Faraway 2, by Pine Studio and Snapbreak Games. Feel free to ask for extra help in the comments section. I’ve also made a separate post for all letters here. See my Faraway 1 guide. You can watch my video for Level 1 here or continue below for my step-by-step guide. 1. Swipe down to open the door. Head through and pull and hold the lever to the right to form the bridge. Cross the bridge. 2. Turn to the right and zoom in on the petroglyphs. Pick up letter (note) 1/3. There’s a new camera feature in the game, so you can take a photo of of the pattern on the stone. 3. Zoom back out and turn left. Smash the jar to find letter (note) 2/3. 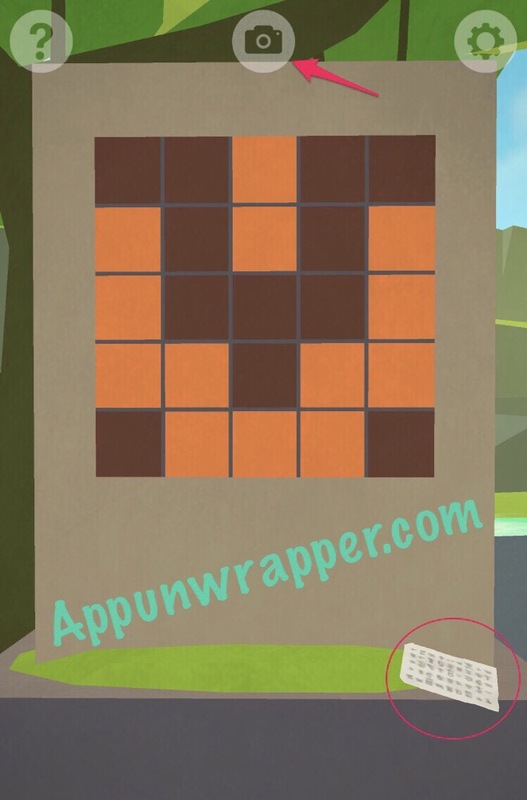 Also, zoom in on the buttons puzzle. 4. Copy the pattern from the picture you took onto the buttons. Then head through the open door. 5. Pick up the tile. Don’t place it above the doorway yet. 6. 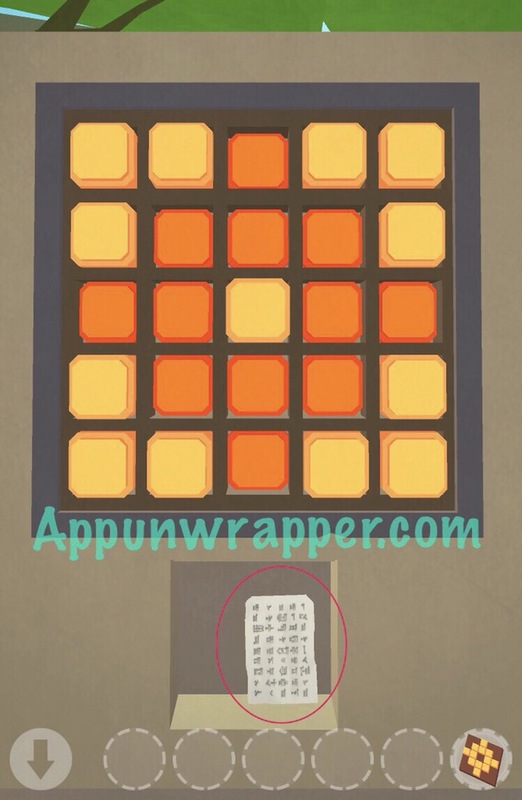 Go back and copy the pattern from the tile onto the buttons. Read letter 3/3. 7. Go back inside and place the tile in the slot above the door. Go through the portal to complete the level. Click on the little numbers below to continue to Level 2, or click here. Thanks! Didn’t know there was a #2. … and isn’t that camera awesome?! I hope they upgrade the past games to include cameras. WoW. My tile is different OMG! I didn’t press all the squares but I got the tile only different ? Ah I see they made it easier. I’ll eventually go back and edit it. The Hints system is awesome, but they don’t do the 3rd letter, lol. Anyone know how to find the third letter/note on level 15?? Argh yeah I’m trying to figure that one out too, it’s the laat one I need to get. Did you get the secret notes on levels 19 and 20? Not going to spoil anything for the 3rd note on 15, but I’ll hint: have you tried interacting with the dials in the 2nd Room? >.> I thought I tried that, but I never realised what it was doing. Thanks for that. Trying to find the third note in level 12 is driving me insane. Me too. Queremos is It? the puzzle piece isn’t just the clue…. Aaarg. It looks like I can use the piece on the panel to make an O shape but it wo t let me do that. HEEEEELP. Never mind. As always I figured it out 1 minute after posting. Sneaky. Alright y’all. Here’s a secret. On the home page, you can slide the little white cubes on either side of the Faraway text. I don’t know the solution though. Haha whoa I missed that. Nice catch! I’ll have to work on that after I finish everything else. Let me know if you need assistance! I’ve got all the letters for every level. Any hint for the third note on 14? I tried putting all the yellow/blue/green things in the center and it didn’t work. That’s almost right. You are moving all of those levers, but you need to make them cascade from the top all the way right, to the bottom which is all the way left. Hmmm I had already tried that too. I guess I’ll fiddle around with it more, see if maybe I had something off a tiny bit. Do you understand how the gears work on level 18? I’ve been getting them mostly through trial and error and now that’s bitten me in the arse with the one that doesn’t have any feedback. The gears seem to turn the segment between them orange if they are spinning in opposite directions. Doesn’t matter which direction for each gear – just opposite to the other one. Does that help? Can’t seem to find the third letter in 18? The level is making me dizzy. 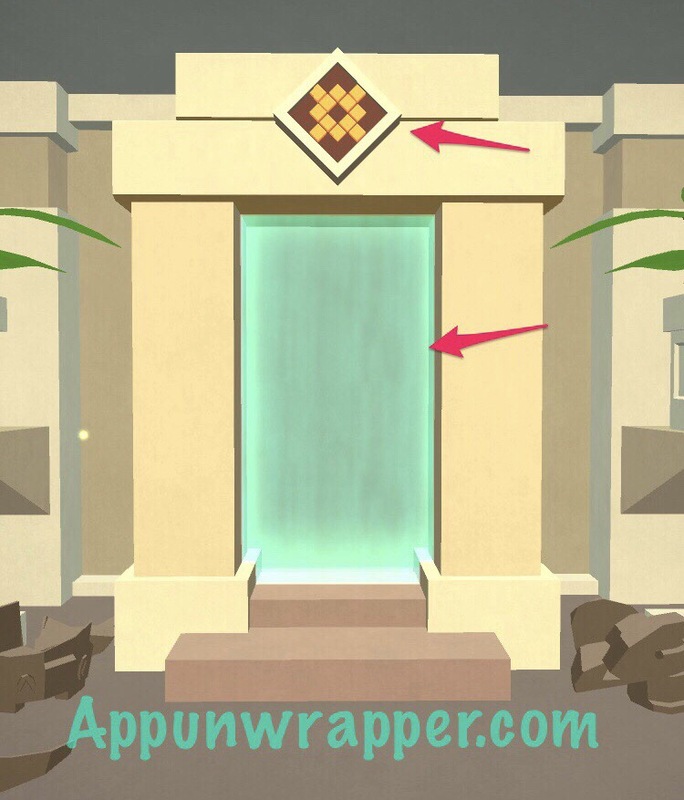 Third letter should be located at the end portal after u get three key to open the door (should call it key?). Actually I just finished few minutes ago but I totally forgot. Ahh found it! Sneaky hidden jar! So, the story ends there(level 18)?. There is no way to learn more? 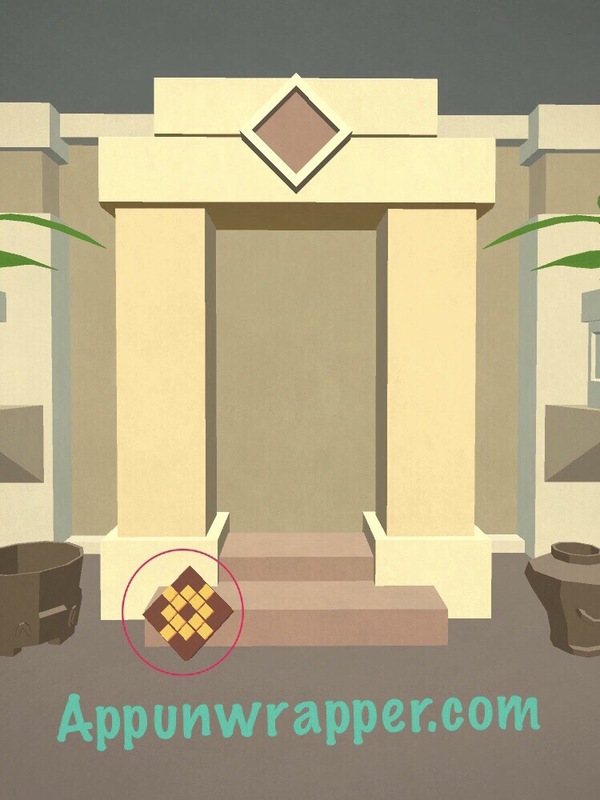 After getting 100%, the sliding boxes on the title screen unlock a final puzzle. 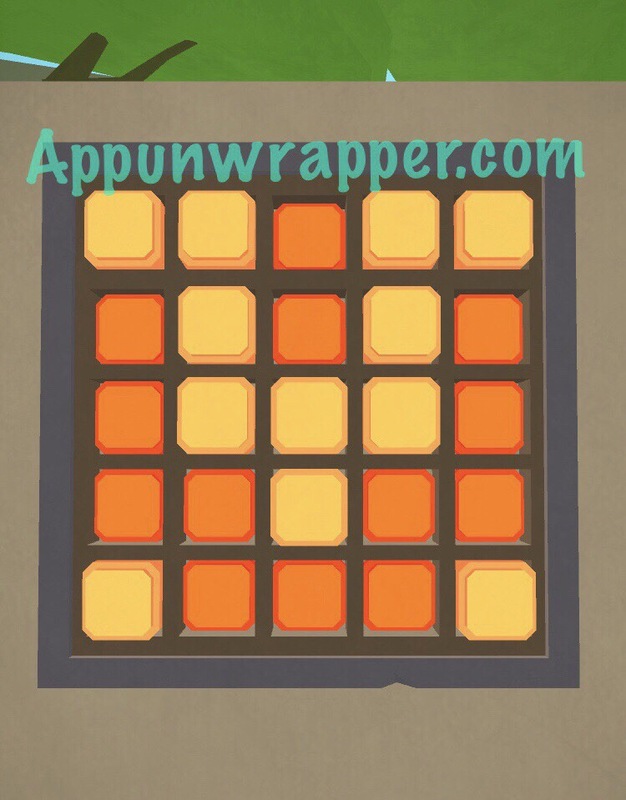 It’s a 6×6 grid of squares that can be tapped to change from white to black. I don’t know the solution yet. I’m combing through the levels for hints. I notice level 1 entrance has 6 square boxes across the top. Haven’t noticed any others yet. Found this too by chance. Unfortunately I wasn’t paying attention at where I placed the sliders.. could the coordinates Steps writes in a note have to do with solving the secret puzzle? That would be wonderful! I hope you’re right! I think theres a glitch on level 6, because I’ve ran through 3 times now and i still can’t get the third letter. And yes i did follow the instructions on the walkthrough. No matter what I do I can’t trigger the third note to appear in level 6. I have slid that little grey slider across quickly, slowly, stopping, without stopping etc- no matter what I do nothing is triggered! Doesn’t work for 3rd letter. Can’t hold the things down and open the slot. It just keeps moving and I cant get it to work no matter how many times i restart the game. on the phone version there’s now a level 19 and 20 and I’m getting frustrated with the second level 20 puzzle. Help!! Hello. The last letter for level 20. Help please. Please, give us a hint! Is there something related to the stairs? It’s driving me crazy! How’d you get it? Why are there no walkthroughs on levels 19 and 20? I can’t figure out the hidden note on level 20. Never mind I figured it out. Thanks n e way.